Khaled Mustafa, a refugee from Syria, was killed in the attack on Friday, Syrian Solidarity New Zealand said the following on its Facebook page. 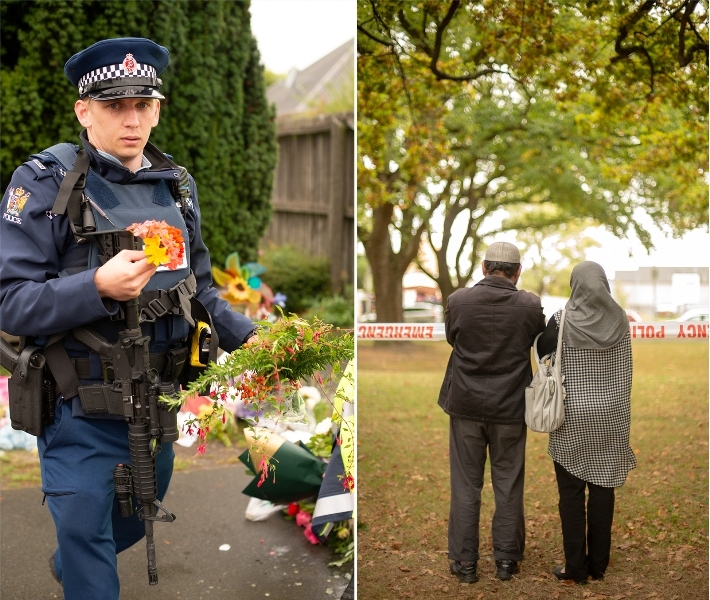 Therefore those that were unjustly slain by the agents who side evil and have hatred for Islam are indeed successful. They were killed fulfilling their purpose in life and will be raised, as Allah (swt) promised, in the state of pure Iman and worship. The issue that is in mind should be preoccupied with those that are left behind. The death of a male is a catastrophe for all of the women that are linked to him. Men are the guardians of the females and as such, we must make dua’ for the mothers, wives, daughters, grandmothers, aunties and sisters of those that fell in Sujjud to Allah (swt). The Islamic social system, as organized in the Khilafah, would always make full effort to look after the defendants left behind if a male guardian was no longer available. However, in the absence of a sincere Islamic ruler, the Khalifa, the Muslim women of the world are left to fend for themselves, financially and socially. None of the current rulers in the Muslim world have any care for the innocent vulnerable women of this Ummah. In fact, they actively help and support in the murder, violation, torture, starvation and abuse of Muslim women and children globally. They allow alliance of the Western nations to use their lands and wealth to arrange bombings and boycotts, never using their millions and armies to liberate the needy. This system of tyranny will never end until the Khilafah returns and these useless leaders and slaves of non-Islamic law are replaced by true leaders of Islam. We, as Muslim women, must not be silent to this error in politics today and only stand as guardians of the method of the Prophet Mohammad ﷺ.